Eleanor Hallewell was dragged to Nantucket by a good friend in 2002 and immediately fell in love with the island. After a summer of working the front desk of the White Elephant Hotel and checking IDs at the Chicken Box, she headed to NYC to work in the advertising field and to get her master's degree. After graduating from Columbia University in 2008, she promptly packed up her bags to travel the world, spending 10 months backpacking and photographing India, Southeast Asia & Australia. In 2010, looking for a quieter place to call home, she returned to Nantucket almost full time, although still sneaking away for off season adventures. She has traveled to over 65 countries on 6 continents…Antarctica remains on her bucket list! 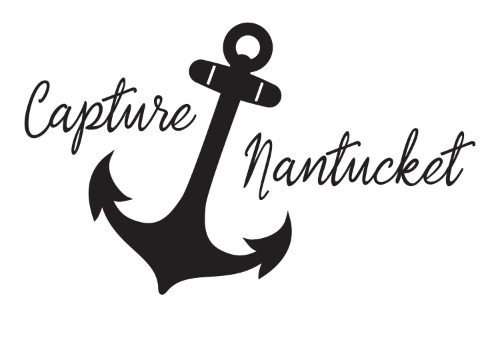 While traveling through South America in 2014, the idea for Capture Nantucket came to her. She wanted to offer visitors the chance to capture the beauty of the island, while developing their own photography skills. She loves the ability to combine and share her two loves – photography and Nantucket. When she’s not hosting guests on a tour or shooting weddings & events, Eleanor can be found delving into a good book at the beach, swimming laps at the high school pool, or planning her next global adventure. Click on the button below to check out her stories and photographs. Bill Hoenk began his career on Nantucket in 2003, when he visited for the first time as a summer worker at the famed restaurant, The Chanticleer, waiting tables. It was during this time that he fell in love with the natural beauty of the island. After that summer, he pursued a photography degree at The Art Institute of Pittsburgh before returning to Nantucket in 2007 to work again, this time as Maitre d’ of the Chanticleer, to pay off his massive student loan debts… and he never left. No longer in the restaurant industry, Bill is a full time freelance photographer, and you can find him every Saturday throughout the summer selling his fine art landscape and seascape images of Nantucket at the Sustainable Nantucket Farmers and Artisans Market downtown. Bill’s photography has graced the pages of many local, national and international publications including a photo on the cover of a special edition of Time Magazine, and his photography has been featured on several television networks including CBS, ESPN, The Weather Channel and HBO. You can find more information about Bill through his website, and you can keep up with his more recent work through his Instagram account. Click the button below to see more of Bill's work.